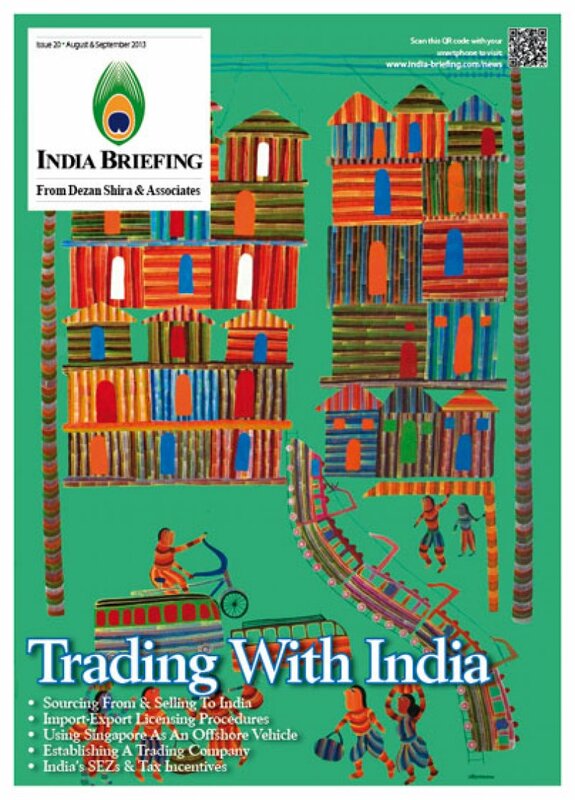 This issue of India Briefing Magazine, Trading With India, focuses on the dynamics driving India as a global trading hub. Within this issue, you will find tips for buying and selling in India from overseas, as well as how to set up a trading company in the country. India is poised to become a major global sourcing center, and we hope this issue both educates and informs our readers how best to approach this growing market. Indian global trade has tripled from US$252 billion in 2006 to US$794 billion in 2012. This has been further influenced by the increasing global awareness of India’s middle class population – some 250 million people, a similar size to that of China’s. Growth in India has also been consistently strong as the trade figures suggest. The United States bilateral trade with India has risen consistently in each of the past five years, as has that with the European Union – in fact the EU is India’s largest trade partner. Furthermore, an ongoing series of economic and investment reforms in India are changing the business environment in positive directions as never before. Indian consumers want to buy things – domestic sales of high end products, such as Apple’s iPhones and iPads, have risen by over 400 percent in the past year. Coupled with this phenomenon is the emergence of India as a global manufacturing hub – Indian wages are a third of those in China, and the country is inheriting the age demographic dividend that has powered China since the early 1990s. Today, the average age of an Indian worker is 23 – and with a population of over a billion, India has a huge and inexpensive workforce. The country offers not just a large domestic consumer market, but also a rich vein of product availability for global sourcing businesses. For example, auto titan Ford has announced plans for a facility in Gujarat that will manufacture three different vehicle types with 50 percent marked for domestic sales and 50 percent for export. These dynamics drive India as a global trading hub, and they are the reason why we concentrate on this subject in this issue of India Briefing. Within you will find tips for buying and selling in India from overseas, as well as how to set up a trading company in India. India is poised to become a major global sourcing center, and we hope this issue both educates and informs as how best to approach this growing market.